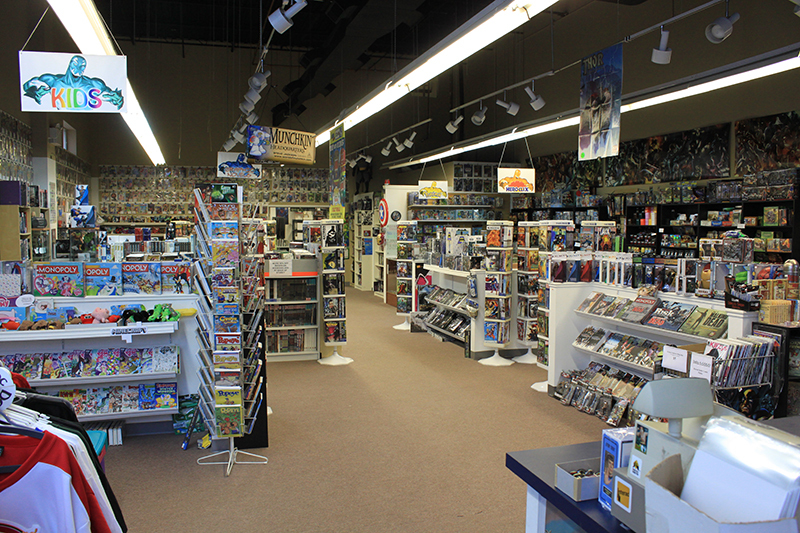 Comic books, trading cards and board games aren’t everyone’s thing, but for those who enjoy them, there’s a store in Oakville where hobbyists can connect. Comic Connection is almost hidden away in the corner of a building shared by multiple businesses at 490 Speers Rd. Although unassuming from the outside, once you step inside you’re quickly overwhelmed by the multitude of comic books covering the walls to the left and rows of trading cards to the right. Dozens of collectible figures and specialty board games like The Walking Dead edition of Risk fill the shelves. 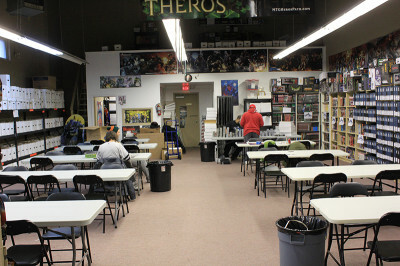 The store also hosts tournaments for card games like Magic: The Gathering and provides space for people looking to play their favourite board games. Rooth has been coming to Comic Connection for 17 years, sometimes using the store’s space to draw. Taking pride in the facility’s large interior, is Rich Stokes, the owner of Comic Connection since 1994. 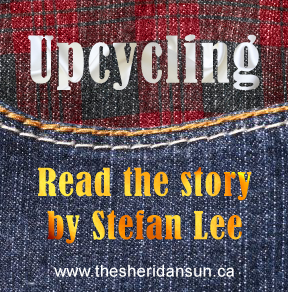 It wasn’t until 2012 that Stokes, now the sole owner, moved the shop to where it stands today. 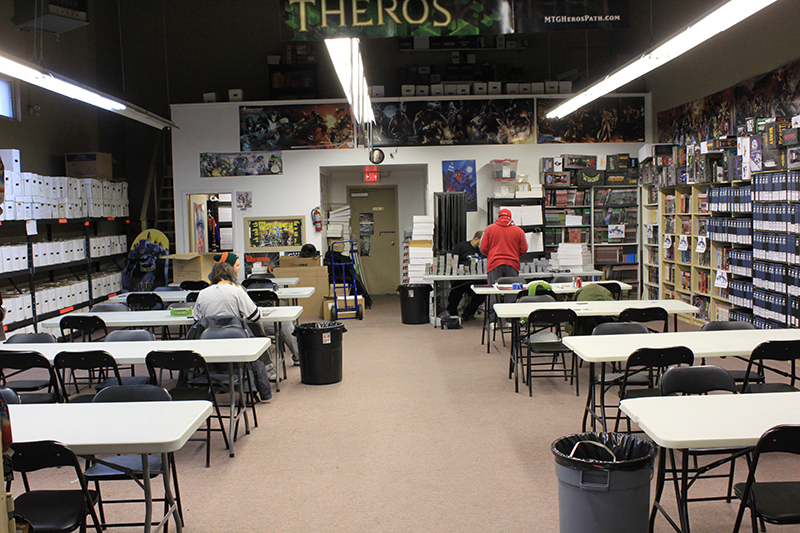 When not hosting card game tournaments, the back room is open for casual gaming to whoever wants to play. Part of geek culture is being passionate about what you collect or what stories you follow and every geek likes to consider him or herself an expert on their obsession. Rob Lantz, an employee at Comic Connection, is the store’s comic expert, having been a comic book fan for most of his life. With his extensive history in collecting, one particular comic series that stands out to Lantz is Thor, which holds a special place in his heart. Whether you’re looking for something interesting to read, a cool collectible, or a new game to play, Comic Connection is there to keep the passion alive. Added by Kagan on December 10, 2013.